Your veins are constantly working against gravity to return blood to your heart. Healthy veins have a closed valve, so blood flow only occurs in one direction. However, varicose veins allow for blood to flow in both directions, causing blood to accumulate in the veins in small pools, which leads to visible swelling and pain. Whether out of concern for cosmetic reasons or pain and discomfort, most people seek treatment. The body’s arteries bring oxygenated, nutrient-rich blood from the heart down to the extremities. Veins, which have one-way valves, normally bring used blood back up to the heart. If the vein valves aren’t functioning well, the used blood can’t flow up efficiently, which causes the veins to swell and develop certain symptoms. Over time, the veins become visibly and permanently enlarged, especially while standing. 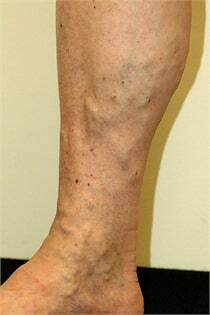 This vein disease itself is called Venous Insufficiency. Gender – Approximately 55% of women and 45% of men over age 50 have venous disease but venous disease can occur at any age. About one in three people are symptomatic. Pregnancy – Approximately 70-80% of pregnant women develop varicose veins during their first trimester. Varicose veins tend to worsen with each pregnancy but can improve after birth. Jobs and Activities – People who spend a great deal of time on their feet or have jobs that require them to sit all day are much more likely to develop varicose veins and their symptoms. The twisted, enlarged varicose veins sometimes cause no pain and are only a cosmetic concern. 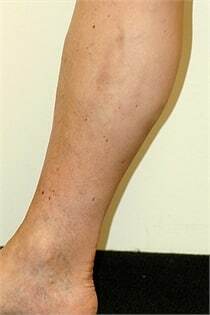 These veins often appear a darker blue or purple with visible swelling. However, there are instances in which varicose veins can cause pain and discomfort. For some individuals, varicose veins are a cosmetic issue. For others, they may represent a serious medical condition that requires varicose veins treatment. Varicose veins are only dangerous if they are left untreated, as there are several adverse consequences of failing to get proper varicose veins treatment. Over time, untreated varicose veins may cause swelling and changes in your skin. Specifically, your skin may turn a brownish color near the ankles and may become rough and itchy. Without varicose veins treatment, the skin may ultimately break down, causing a leg wound or ulceration. For most people, varicose veins can be diagnosed by an experienced physician during a routine physical exam. However, underlying vein problems may be present that are not visible to the naked eye. At our vein treatment facility, we pair the exam with a Duplex Ultrasound scan. This scan is a noninvasive and painless test that we use to better evaluate both the superficial and deep venous system. It is necessary to make an accurate assessment of the extent of the vein disease, as well as to create the best varicose veins treatment plan. We perform ultrasound exams at our clinic and also offer in-office, free vein screenings. Your symptoms have become disabling and you’re unable to perform daily tasks at your normal capacity. The skin over and surrounding your varicose veins begins to bleed, develops open sores, or becomes flaky and itchy. Your veins become tender, warm, swollen, or painful, possibly indicating a blood clot. If you’re experiencing any of the above symptoms or other symptoms that are concerning, it’s a good deal to visit your doctor and discuss possible causes or treatments. In addition to providing diagnostic services, our state-of-the-art facility in Lee’s Summit, Missouri, also provides varicose veins treatment. Although there is no universal cure for varicose veins, our treatment has proven effective in many individuals. 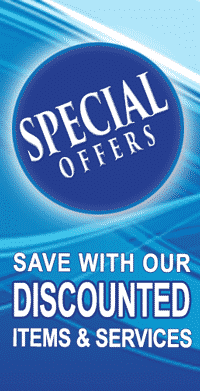 Below are links to varicose veins treatment pages. Ready to receive varicose veins treatment at our Lee’s Summit facility? Call Summit Skin & Vein Care today at (816) 533-4398 for a free vein screening and consultation or to learn more about our varicose vein treatment capabilities. Proudly serving Kansas City, Lee’s Summit, & the surrounding communities.